2016 brings new adventures for us. We are Rachel and Paul Sumner, and we are off to tour the United States, Central and South America. 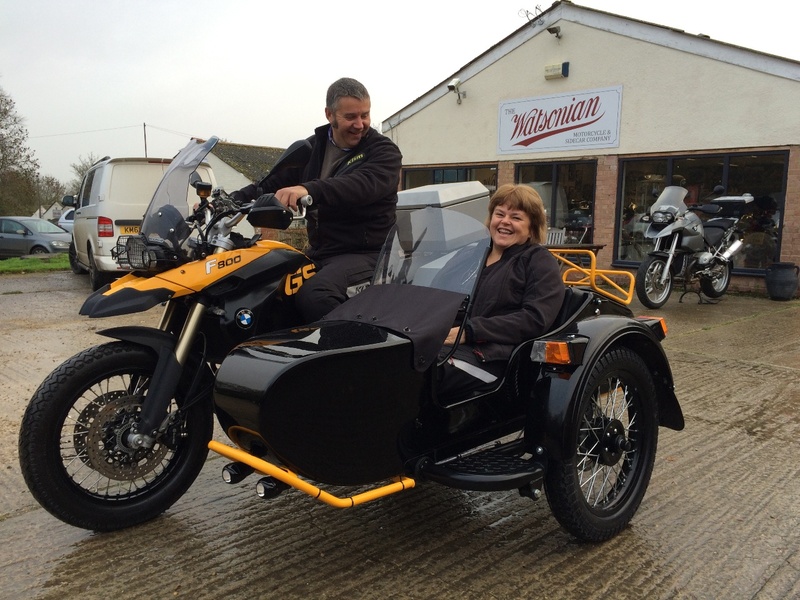 The flights are booked on 20th June 2016, and the motorbike and sidecar that is to be our form of transport is to be at Heathrow on 27th May 2016. Exciting! Before we head off headlong into the tour, we are planning a month long ride around Spain, Portugal, Italy and France. This is to give us time to get used to the new machine, which at time of writing we have only done about 600 miles on. It rides very differently to a solo bike, so is taking some getting used to, but we cannot wait, we have been packing and repacking for weeks. For the Americas trip, the most important items for us to be taking are a full and comprehensive first aid kit, including a huge supply of malaria tablets, and an entire pannier of tools, spare inner tubes, a jack, air compressor, emergency jump pack for starting the bike etc etc. Other preperations have been to obtain a six month U.S visa, and International Driving Permit, Travel Insurance covering us for nine months, as we hope to complete the entire journey within that time.